Step into the New Year with gorgeous looking skin using one of our favorite face masks. This is a moisturising and soothing mask for tired and dehydrated winter skin. 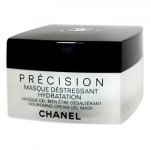 Some masks can leave your face feeling tight but this mask will leave the skin bursting with moisture and hydration. This mask even comes with instructions of how to massage your face for the best results! Total luxury. Your skin will be enveloped by a wave of tenderness, calm and well-being with this facial mask. 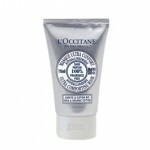 Its rich texture becomes smooth during application for comfortable, hydrated, and intensely soothed skin. Get great skin by cheating a bit, with C the Difference Exfoliating and Soothing Mud Mask, which tones, revitalizes and purifies the skin without a smoothie maker in sight!